Dojima Junmai Sake is made using the very best Yamada Nishiki rice from Hyogo, Japan. Polished to 70%, the rice is combined with water from the Fordham Abbey estate made pure by Ice Age strata. The rice is fermented slowly with great care and exacting temperature control to ensure optimum conditions at each stage, resulting in a taste full of mellow sophistication with a perfect balance of flavour and fragrance. The International Sake Brewing Association seal is your guarantee of the highest brewing standards. 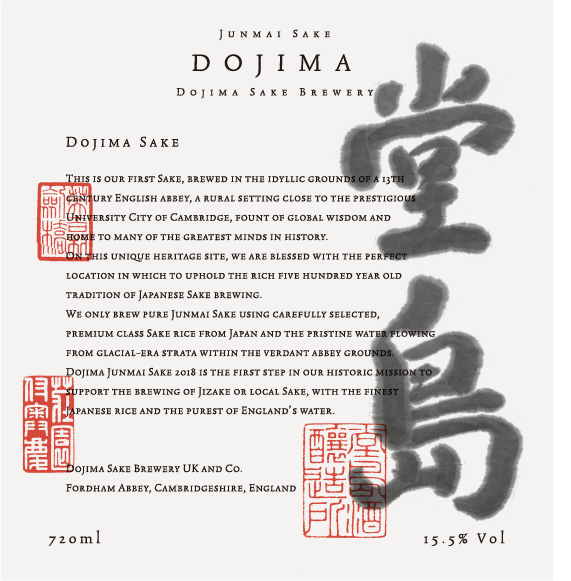 This label on our very first sake, is the living embodiment of Dojima with its origins in Japanese tradition but with an international face. The stately air of the lightly inked brush strokes speak to the life in the fermenting brew. To commemorate the opening of our brewery, this special limited edition bottle will be numbered by hand from 1 to 1000. The label is stamped with seals that symbolise the philosophy of Dojima and portray both a sense of prestige and Japanese elegance. Dojima Junmai Sake combines an opulent balance of sweetness, richness and acidity that makes for a very special first encounter. Opening the cap you are first greeted by a soft, sweet fragrance followed by the umami that comes from the rice, which gently fills the mouth and develops with the taste and fragrance of banana, mango and the sweetness of honey. 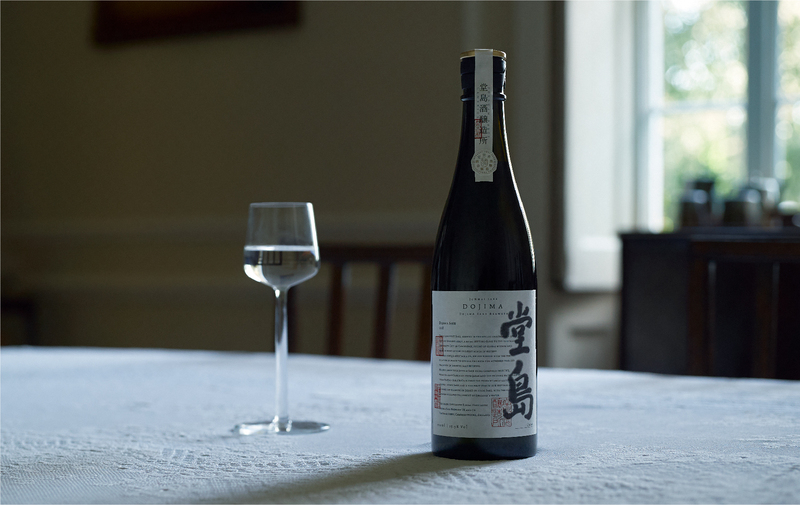 The flavour appears to flow through the body giving the most wonderful feeling of fulfilment while the youthfulness of the sake blends sweet and bitter notes. We recommend you serve it slightly chilled in a wine glass and pair with fish and meat dishes as well as cheese, pasta and a whole array of different cuisine. Total of 500 bottles of Dojima Junmai will be made available to the local residents in our first year from Autumn 2018, and this offer is limited to 2 bottles per household.